I'm mostly vegetarian, but I do eat fish occasionally. Just because I mostly eat vegetarian doesn't mean food should have little flavor. My goal is to guide people that choose to be vegetarian on food choices that will quench their thirst for flavor. I have an eclectic list of food combinations that I choose from and am always adding new and unique varieties of food. Here are recipes that I have tried and some of my personal recipes. Try them out and see for yourself. Please don't forget to leave your comments. This recipe would make a good appetizer or side dish. 1. Arrange tofu in a rectangular container. In another container, combine nutritional yeast flakes and cayenne pepper. Set aside. 2. Marinade. Combine bragg liquid aminos soy sauce, lemon juice, water, garlic, and bay leaves together. Pour over tofu and let it marinate in the refrigerator for 15-20 minutes. 3. Spray a large frying pan with olive oil, turn heat on medium high. Remove the tofu from the marinade and dredge in the brewer's yeast mixture until evenly coated. 4. Fry tofu in the pan for about 2-3 minutes each side, or until golden brown. Serve hot. NOTE: Spray each side of tofu before turning them. 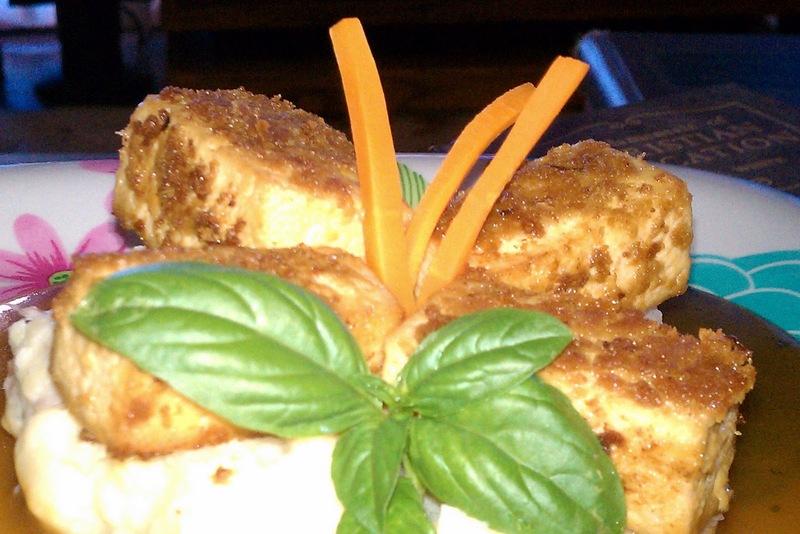 Tofu or bean curd - is a food made by coagulating soy milk, and then pressing the resulting curds into soft white blocks. Brewer's Yeast - is made from a one-celled fungus called Saccharomyces cerevisiae and is used to make beer. It can also grown specifically to make nutritional supplements. Bragg liquid aminos soy sauce - is a healthy substitute of soy sauce. Nice website. I'll definitely be back looking for more.